As the world begins to shake off the winter cheer seen this holiday season, many of us start to get back into the swing of everyday life. Evil doesn’t take a holiday though, and that means neither do heroes. Robert Venditti, Van Jensen, and Brett Booth, have wrapped up the climax of The Flash and Professor Zoom saga, and put a bright, red and gold bow on this late Christmas present to kick off the year. That’s right, comic fans! 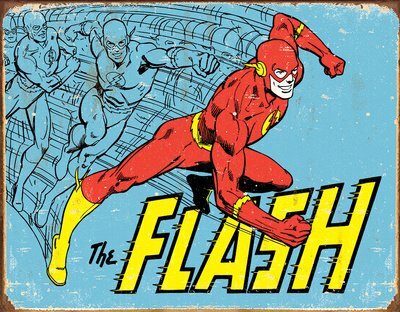 It’s January, it’s 2016, and it’s DC Comics The Flash! So here we are, lads and lasses. The super speed showdown we’ve all been waiting for is about to take place as The Flash takes on Prof. Zoom, one-on-one. All the cards are laid out on the table here. Questions are finally answered, as we get an issue that arguably contains everything you could ask for to end an arc. What with Barry and Henry coming to grips with the reality of Thawne’s manipulation throughout their lives, from Eobard congratulating Henry on the birth of his son to murdering Nora Allen. In good old fashioned comic book tradition, Eobard goes on to explain, or rationalize, his actions; as a man who bent on bending the Gem Cities of his time (the 25th Century) to his will fully and completely. Although Prof. Zoom has presented himself as a noble man doing bad things for a greater good, his true colors are shown throughout the book as we see glimpses of both his future (or technically his present) and his past. Using every weapon at his disposal, from the white picket fence posts to Henry Allen himself, Eobard remarks on how the citizens of Central City fought against his rule, while worshiping The Flash as a God. As their fight spills inside of the old house an image of Prof. Zoom burning down the Flash Museum is particularly well done, as are all of the scenes from Eobard’s time -- in particular because Brett Booth and Norm Rapmund do a good job of sneaking in some nice Easter eggs, including what appears to be an image of Impulse (or at least his leg) and a Speedster whom Booth admits, while not Wally was a member of the West family. Just as it looks as if Prof. Zoom has won though, Henry Allen makes the save with a good old-fashioned “Get your damn hands off my son,” complete with a baseball bat upside Prof. Zoom’s head! CRACK! Regrettably, it only buys them a few moments, as Prof. Zoom gets back onto his feet and decides it’s time Henry joined Nora. And though I’ve never been fond of the word “epic” before, it’s around this time things began to get, pretty damn epic. Not just because The Flash laid down some solid science, explaining the Hafele-Keating Experiment and his connection to time, but because we pretty much just got a “World of Cardboard” speech from Barry Allen! A really good one at that! Props to Van Jansen and Robert Venditti for some superb writing in this issue, which may have been their best since the team came on back in April. The fight pours out into the streets, as the power of Thawne's hatred of The Flash gives him the upper hand, proclaiming how the world left by Barry’s alter ego saw him as a failure, unlike The Flash who was considered perfect. And then it comes out, as we see how Eobard had to suffer as a child, as he saw his father murder his mother and be sent to prison for it. Taking a page from an old Joker way of thinking (a'la The Killing Joke), he decides that instead of The Flash having the perfect life, Thawne would make their lives equal and show the world how even the mighty Flash could be broken. That’s kind of the thing about heroes though. They don’t break. It’s why they’re heroes, and that truth is echoed in the words of Flash as he KOs Prof. Zoom, going so far as to even stop his father from killing the man that ruined their lives, and the two share a father and son moment nearly a childhood in the making. That’s not to say that Thawne gets off scot-free though. Far from it, actually, as Barry gets to do something he’s been working his whole career to be able to do. As the sun rises and the police arrive, Captain Frye shows up and finds Barry with Henry, asking about The Flash. While Barry claims not to have seen The Flash, he gets the satisfaction of placing a sedated Eobard Thawne under arrest for abducting his father and murdering his mother. And who says there aren’t any good cops? The kicker? Thawne still believes himself the victor. With the ending of the latest threat to his life, it now seems like a perfect time for reflection and relaxation for Barry Allen. With that line of thinking, one song came to mind -- especially with the use of rain and sun during the final fight between Prof. Zoom and The Flash. So, I leave you with 'The Sun Will Shine Again' by Jerry Jewell. Enjoy all those feels, old-school Anime fans. This episode of The Flash had a lot riding on it. With a villain like Prof. Zoom, and with a hero like The Flash, needless to say, there was a lot of pressure here. So I think it’s safe to say this story not only met my exceeded expectations, it surpassed them. Do you know who else surpassed expectations? If you answered “my mom” you need to watch less 'Regular Show'. The correct answer is Holly Holm! Spunky gal comes out of nowhere to beat the champ, much the way this issue came and knocked this arc out of the park in grand (and slightly less bloody) fashion! Ergo, the comparison: Issue 47 of The Flash is the Holly Holm of the series! With a new year on the horizon, there are plenty of possibilities for what we’ll see in the upcoming year. However, one of the main factors in what we do see is... what the fans want. 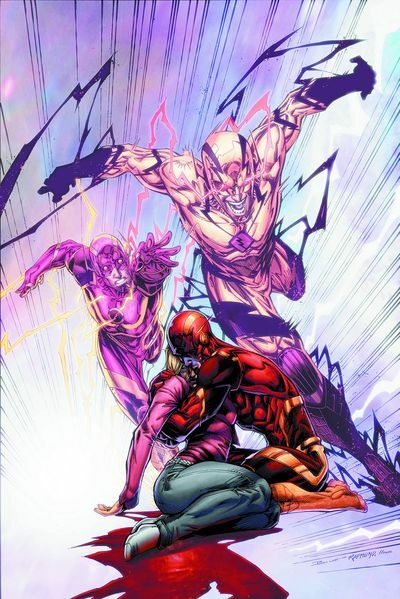 So, I ask you the question Flash Fans: What do you want to see happen in 2016 from this list? 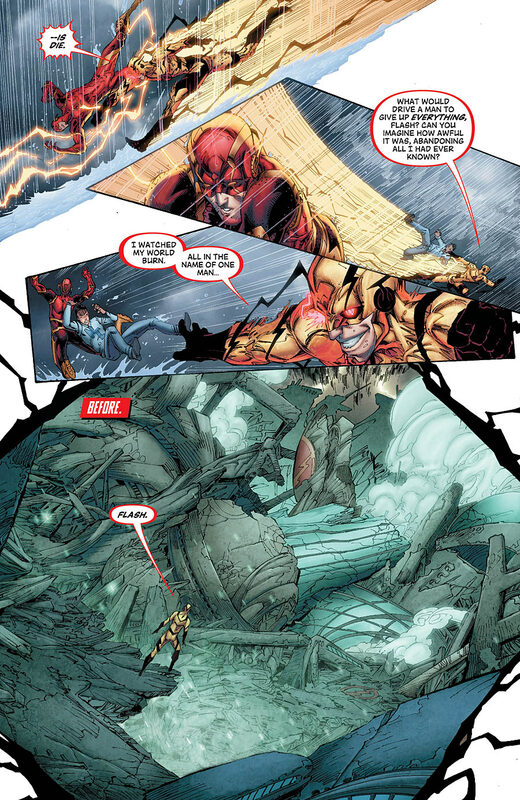 Wally West become Barry’s sidekick? A female Speedster making the scene? Barry in a relationship with Patty Spivot again? Barry in a relationship with Iris West? A new Flash take over at some point in the year? Barry Allen to meet Jay Garrick? Leave your thoughts and ideas for the next year in the comments below!